Once you have decided who you’re going to sell to and have worked on your portfolio enough to be confident with it, as discussed in Chapter 1, it’s time to get started in the game of marketing. Like any other part of the process, selling your product or service is something that requires planning. Marketing plans for big companies can get really complex, sometimes they can be extensive as a 100 page document, but I’ll try to break it down to the basics. In this chapter you will learn how to think with a marketing mindset, focusing on objectives and organizing tasks that will eventually fulfill your goal. The first thing you have to do is get to know the market you chose to attack. That means that you have to gather information not only on the potential clients you are going to approach, but also on your direct and indirect competitors. As a freelancer you must have some guidelines as to what will be expected of you from the market that is going to eventually hire you, and looking at what other companies or freelancers are doing is a great place to start. This first stage is known as the analysis and diagnostics phase. This basically means you need to do some research and then identify the potential obstacles and problems you will encounter when starting your photography business. Now that you have a clear panorama as to what the market looks like out there, it’s time to lay down your (marketing) objectives. First, you need to set a general objective. 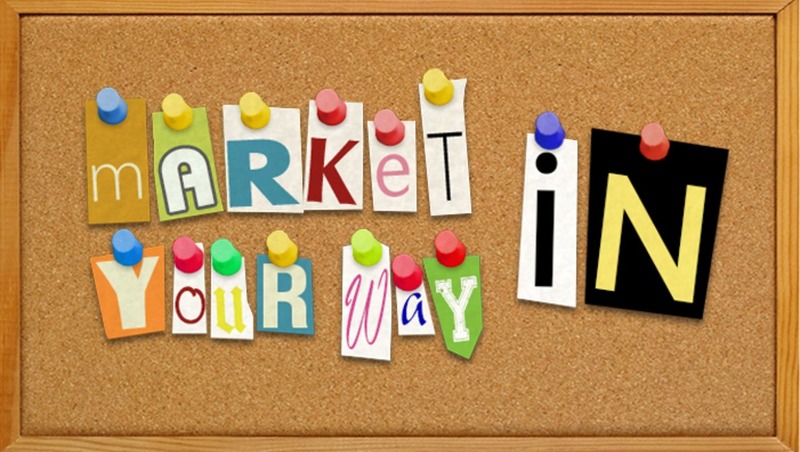 It should be really straight-forward and answer the question, "What do you want to achieve with the marketing plan?" Specific - Are the objectives stated in a way that is precise about what you are hoping to achieve? Measurable - Can you quantify each objective? I.e. can you use a unit of measure, such as a market share in percentage or dollars, to provide a way to check your level of success? Achievable - Are your objectives reasonable in terms of what you can actually achieve, or are you setting your sights too high? Realistic - Do you have sufficient employees and resources to achieve the objectives you have set? If you don't, are they likely to be unrealistic? Time-specific - When are you hoping to achieve these objectives? You need to define a timing plan by using target timing for each specific objective. Increase the market’s awareness of my brand. Become one of the top three brands in our industry named among consumers. As you can see, these are very general and always appeal to the market end of the business. 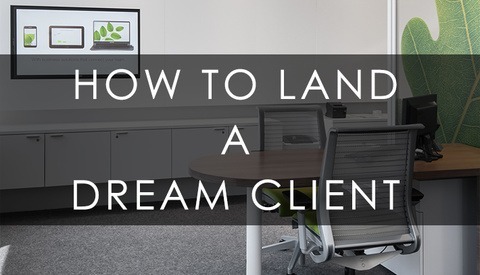 They might sound dull and completely unrelated to the realm of imaging and photography, but the truth is once you start with the next step, which is implementing a strategy or action plan, you will see how connected everything is. Now that you have a clear goal to pursue, you must think of a set of actions that will be implemented in order to achieve that goal. The action plan should always answer to the objective's reach and timeline, and should be organized and scheduled with that in mind. If you are just starting out, getting things done in order to reach a goal might be a bit tough. Most starters don’t have that much budget to begin with and don’t want to invest time or money in to “irrelevant things” such as a well-built website. My answer to that is don’t make excuses. Harsh as it may sound, the truth is that you can always get premium material — or at least better than adequate — at low costs if you know where to look or if you ask around enough. The fact is you need to have a decent corporate image. If you’ve already taken the time to develop a nice portfolio, don’t throw everything away by displaying it on a crappy website or inside a PDF presentation with an ugly logo next to it. Even if you are working from your parent’s basement, make it look as if you are inside the standard circle of competitors for the market. The best part about this stage is that you decide what goes. You get to choose what your personal brand is going to look like and you can now use your photography as part of your identity, which eventually will be recognized by your clients. I’ve found that one of the most common contributors to failing freelancers is the lack of organizational skills. Most freelance workers don’t really like the idea of an office, working 9-to-5 and having a boss telling them what to do. That’s why they choose the path of independent work. It’s quite easy to get carried away by all the freedom and turn in to one of those people who are wearing pajamas and haven’t showered by three in the afternoon. And don’t get me started on social networks; I mean, seriously, browsing Facebook and adding people doesn't really count as research and client management. So in order to help you a little bit with getting organized, I’ll share the method I use week after week to get things going and work flowing. The board that will make your life easier. What you do is write each thing you have to get done that week on a piece of paper. Then you pin each piece to the left side of the board which is the “To-Do” area. This should contain all the activities of the week prioritized and perhaps color-coded to display hierarchy. You can either use different colors of Post-it notes or pins. The most urgent things should also have a deadline so you don’t slack all week and leave it for last moment. Each day you review what’s on the left side and pick one activity and pin it on the “In Process” area of the board. You don’t always have to choose the most urgent ones first. If you think you'll have time to reach the deadline and complete something else before, go ahead. Once you have completed an activity, you move it to the “Completed” section. The whole idea of this exercise is to migrate everything from left to right. Once that is done, and this is very important, reward yourself. Achieving a goal, even if it’s a weekly one, should be something that gives you satisfaction. That way, the more things you complete the more rewarding it is. 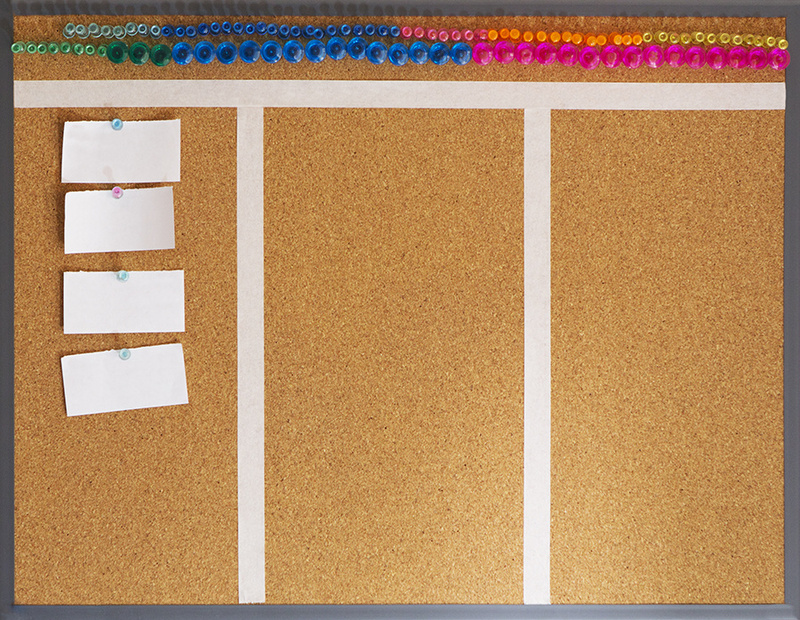 This board will help you get things organized and works for everything you have to do, not just marketing stuff. If you have pictures to take or retouch, put them on there so you can have a preview of what your week is going to be like. Now, the big question is: How much time and money should you invest in marketing efforts, and how do you know which ones give you better results? Well, that’s not easy to answer. How much you spend on marketing or advertising depends on many variables, including the current stage of your product or service in relation to its life cycle. A product's life cycle, along with things you have to take in to account at every stage. However, I will say that you have to destine a percentage of your incomes to marketing, especially when starting out. In the next chapter I will talk exclusively about the value of our work, which means budgets and accounts. With that notion you can have a better idea of how much you should invest on ads and marketing. 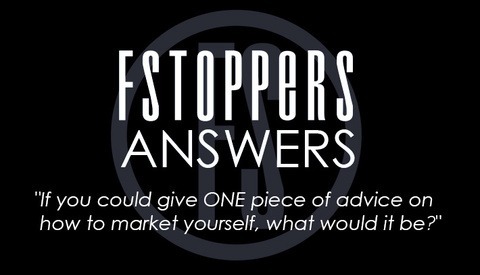 Fstoppers Answers - "Give One Piece of Advice on Marketing Yourself"
These have been incredibly helpful! Looking forward to the next instalment! I do have a question though.... when approaching potential clients on a trade basis (for test shots, additions to your portfolio, etc. ), how do you turn them into paying customers? Won't they simply ask for the same trade as before? Or expect the same product that you did for free (or low cost) again? 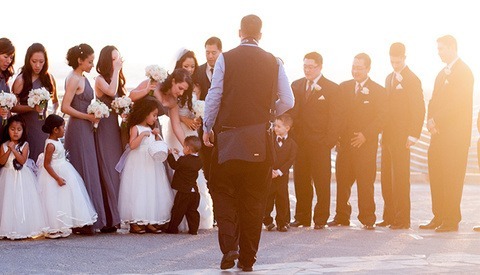 You need to play the photography hustler game. First you give them a test of what you can do, and then hook them in. For example, if you go to a bar and tell ask them to do a test with ONE of their cocktails, you have to do your best and make that picture look amazing. Then show them the finished version, do a little follow up, and casually suggest that you could do their whole menu. I see. All about what they could potentially get. Thanks! Amazing series of article. I am still at the step of building a strong portefolio but I was wondering if I could ask you to quickly review it once it's done ? Sure, upload it here in the site and I can check it out. Thanks Felipe ! Sorry for the late answer but just wanted to let you know I really appreciate ! A very good article but one basic problem. Your use of the word "freelancer" is not accurate. A freelancer is a term that describes someone who is actually engaging in an employer/employee relationship but by law or contract is an independent contractor. What you are describing is a business owner. You don't need to have a studio to be considered a business person, owner or professional photographer. So when someone asks me if I'm a freelance photographer I say "no, I own my own business." Nothing wrong with being a freelancer, just know the difference.